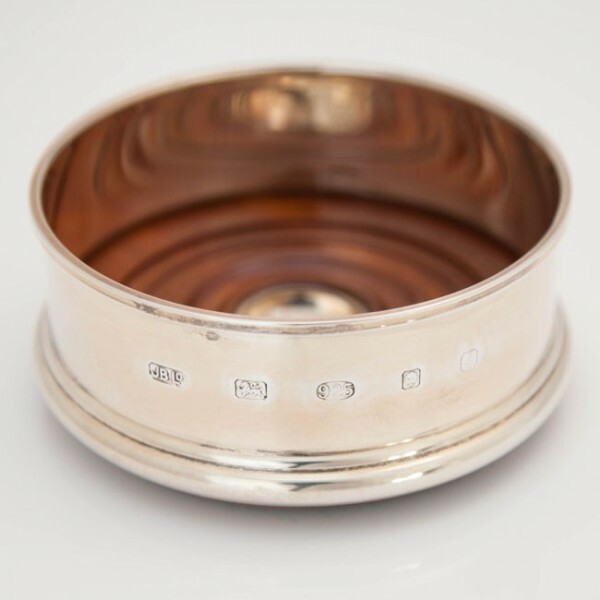 This plain silver wine coaster is of modern origin, and has feature hallmarks as decoration around the circumference. 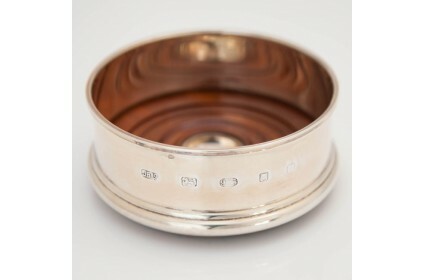 With a wooden base, and weighing 85.8g in total, this wine coaster has a green felt bottom. Please note, this specific item might not be in stock. There are on the other hand, pieces of the same nature available in our shop. Please contact us for more details and photographs.